This is a set of seven nesting dolls featuring characters from Frozen. The dolls are hand painted by artists in Russia. 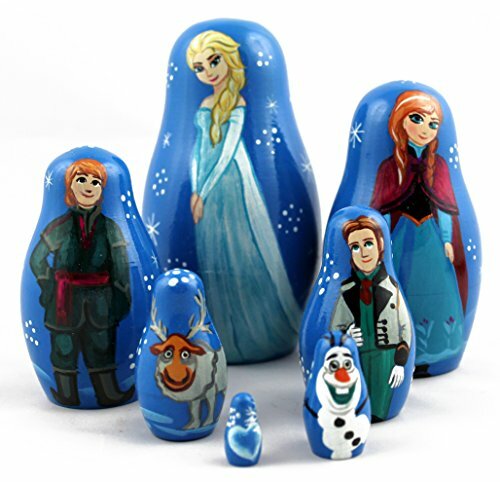 Frozen fans will love this unique set of handmade genuine Russian nesting dolls featuring their favorite characters. 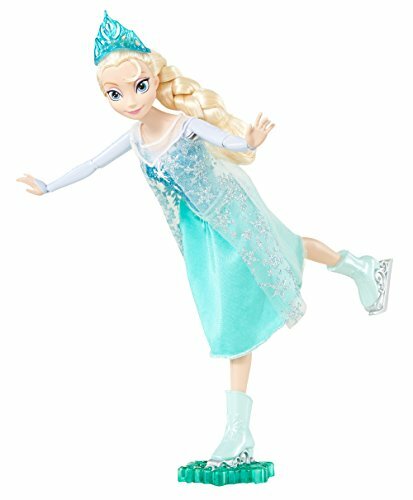 The dolls in order of size (large to small) are: Queen Elsa; Princess Anna; Kristoff; Hans; Sven; and Olaf. The smallest doll, which does not open, features a frozen heart.